Palacio de lujo en Cancún. 14.000 pies cuadrados! Ático más grande del Caribe. Este 14.000 pies cuadrados ático se sienta en los dos pisos superiores de la Torre Escénica. Vistas de 360 ​​grados del océano, ciudad de Cancún, la selva, e Isla Mujeres. 6 dormitorios / 8 baños, todas con baño privado y balcón privado, además de otros dos de 2 dormitorios / baño para el personal. Situado en un edificio muy seguro y privado. El palacete está cubierto de mármol blanco importado de Grecia. Sólo los mejores materiales y acabados se utilizaron en esta casa de diseño personalizado de arriba a abajo. Villa Los Cielos dispone de piscina, gimnasio, jacuzzi interior en el balcón, mesa de billar, Wi-Fi y por satélite de televisión. Gerente de la casa además de dos miembros del personal en el lugar para ayudar con las solicitudes y servicios de mantenimiento de la casa, lavandería, etc. En la planta baja del edificio tiene una hermosa piscina de borde negativo con vista al mar, cabañas, sillas y acceso a la playa. Grandes restaurantes locales cercanos (recomiendo el restaurante Flamingos Beachside que está a 5 minutos a pie). También se pueden comprar pases de un día para una experiencia todo incluido en el complejo Villa Del Palmer al lado. En las inmediaciones encontrará un sinfín de oportunidades para la premier de golf, ir de compras a Plaza Las Américas y maravillosos restaurantes en todo Cancún. Si el tiempo lo permite ir a Playa del Carmen y la Riviera Maya son una necesidad. Configuraciones de cama (4), Reyes (2) Dual Queens. Situado a 15 minutos del centro de Cancún (Centro) y 30 minutos de la Zona Hotelera. cerca del puerto del ferry si usted desea ir a Isla Mujeres. Nuestro gerente puede ayudar con todas sus necesidades para la creación de transporte a cualquier punto de la zona. El desayuno continental se sirve todos los días. Si usted es feliz con sus servicios y se siente como propinas al personal, puede hacerlo directamente, ni propina es de $ 50 para el Administrador por día. $ 25 cada uno para el ama de casa y Porter por día. NOSOTROS NUNCA pedirá que gire dinero. QUE ES UNA ESTAFA. SOLO PAGO CON TARJETA DE CRÉDITO O PAYPAL A TRAVÉS DE ESTE SITIO PARA QUE ESTÁN PROTEGIDOS. This was one of the most amazing places we have ever rented! It was like out of a movie. It was gigantic , gorgeously decorated, and conveniently located. I felt like I was in the movie Scarface. We will definitely rent out this space again. It was a pleasure having you stay at our home. We are happy you enjoyed yourselves and look forward to having you back in the future. Amazing in every way! Way better than the photos! Owner communication was timely and impeccable. The home is truly a work of art - professionally decorated with thoughtful pieces throughout. The staff was the epitome of professional in every way. Highly recommend you hire the recommended chef Pepe and car service by Salvador. Best vacation ever! This home made our vacation. Absolutely stunning. Place was very clean and well kept, more than enough room, gorgeous veiws, and staff was amazing! 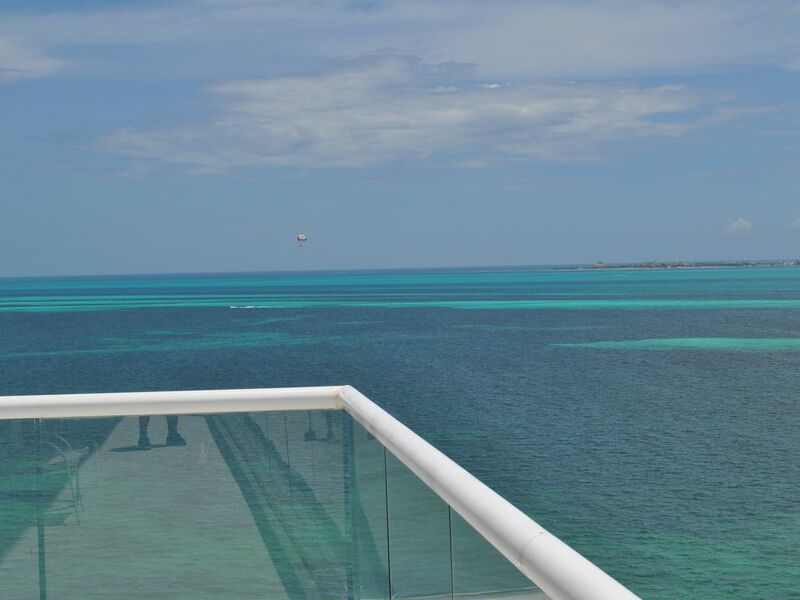 This penthouse exceeded our expectations, it is a luxurious vacation all on its own. Can't wait to stay here again!! Kristin, we truely loved having you and your group be our guests. We are happy you enjoyed everything and look forward to having you back in the near future. We came to celebrate our parents anniversary. The pictures of the home does not do it justice. It is simply beautiful and unlike any place I have ever been. We were greeted by the most wonderful staff. They took great care of us during our whole stay. Between the penthouse and the grounds below we rarely ever left the property. If you have a special occasion in mind and looking for a memorable place to stay you cannot go wrong with Villa Los Cielos. They went way above and beyond our expectations and we left very satisfied. Thank you so much for being our guest. We truly loved having you and look forward to you visiting again. This is one of the most beautiful homes we have ever stayed in. The process was very easy. The manager greeted us at the house and gave us a tour. This place is MASSIVE. Some of the people in our group got lost a couple times but made for some good laughs. The building is very safe and private with 24 hour guards. We spent most of the time at the house but a couple days we went to the resort next door and used all the activities and beach. We had a private chef come in one night and he did a fantastic job. After searching several properties in the Cancun area we are so happy we picked Villa Los Cielos and can't wait to go back in the future. We had a group of seven and this penthouse is so large that you need a full day to be accustomed to the layout. Pros: It has everything one would want or need from bar areas, beautiful kitchen, pool, spa, beach and amazing views. I have to say that the staff if what makes it complete. Manager Rosamaria handled issues, answered our questions and guided us to great dining spots. Reina was such a love and lives on property. She made great breakfasts and was always there for any of our needs. You will not be disappointed booking here. Cons: really the only couple of negatives I can report are what others have posted....lack of window coverings make dining uncomfortable due to the sun blazing in. (The bedrooms have blackout shades which are wonderful.) The next is simply an aesthetic issue with the greatroom furniture which needs re-upholstering. The couches and chairs' coverings have disintegrated in the sun and humidity. Rates are subject to change until confirmed. Minimum 4 day rental. Please leave gratuity to staff upon departure. Customary gratuity is $50 for Manager per day. $25 each for Housekeeper and Porter per day. Please be courteous of our neighbors and keep noise on the terraces to a respectable level.